New Delhi, Oct 23 (IANS) Afghan President Ashraf Ghani will come on a daylong working visit to India on Tuesday during the course of which meet his Indian counterpart, Ram Nath Kovind and hold delegation-level talks with Prime Minister Narendra Modi, the External Affairs Ministry announced on Monday. “The visit will build upon the recent high level bilateral exchanges between the two countries, including the recent visits of Abdullah Abdullah, Chief Executive of Afghanistan on September 27-29, and that of the Foreign Minister of Afghanistan Salahuddin Rabbani on September 10-11 to India for the meeting of the bilateral Strategic Partnership Council which was co-chaired by External Affairs Minister (Sushma Swaraj),” the ministry said in a statement. 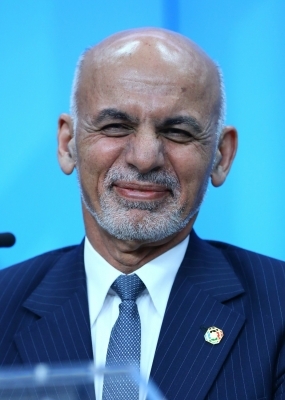 “Both sides will have the opportunity to review the entire gamut of multifaceted bilateral strategic partnership, including the New Development Partnership; hold consultations and coordinate on furthering the shared objective of promoting peace, security, stability and prosperity in Afghanistan and efforts to combat the menace of terrorism; and discuss regional and global issues of mutual interest,” it added. During the second Strategic Partnership Council meeting on September 11, making use of the fresh $1 billion announced by Prime Minister Modi, India and Afghanistan launched a New Development Partnership. India worked with Afghanistan to identify priorities and projects where Kabul needed New Delhi’s assistance to be directed. India agreed to implement some important new projects such as the Shahtoot Dam and drinking water project for Kabul that would also facilitate irrigation, water supply for Charikar city, road connectivity to Band-e-Amir in Bamyan province that would promote tourism, low cost housing for returning Afghan refugees in Nangarhar province to promote their resettlement, a gypsum board manufacturing plant in Kabul to promote value-added local industry and for import substitution, and a polyclinic in Mazar-e-Sharif. India will also take up 116 high impact community development projects in 31 provinces of Afghanistan. These important investments will be in the areas of education, health, agriculture, irrigation, drinking water, renewable energy, flood control, micro-hydro power, sports and administrative infrastructure, according to the External Affairs Ministry. New Delhi also announced that ongoing programmes for education, capacity building, skills and human resource development in Afghanistan, one of the largest such programmes in the world, would continue for a further period of five years from 2017 to 2022. India is a leading development aid partner for strife-torn Afghanistan.